One popular item sold online is an above ground storm shelter. The company got into the business three years ago after noticing manufacturing competition was slim in the Midwest. 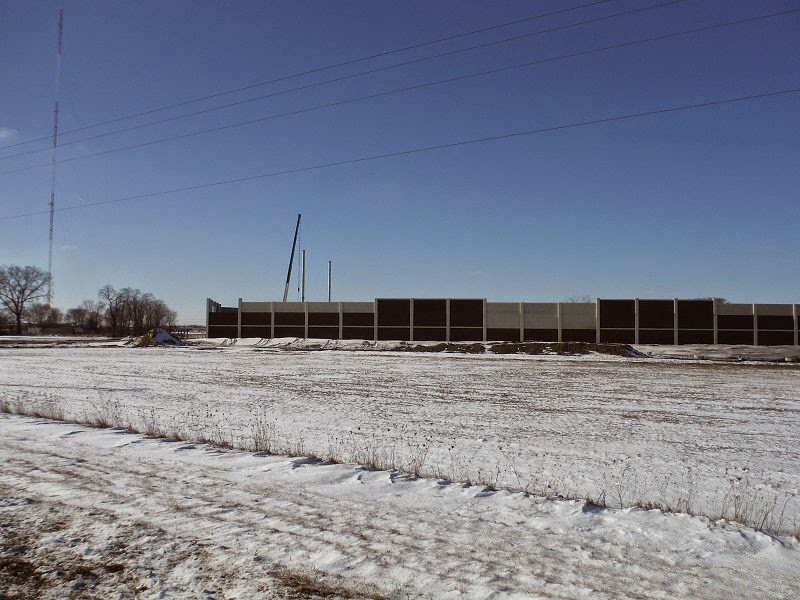 Mader said any precast company could sell storm shelters with two key components in place - the marketing and to sell the product and engineering team in place to make certain the final product can withstand the force of an EF5 tornado. Engineering is important since it helps determine if a certain size building won't overturn or disintegrate when faced with 250-mile-per-hour winds. The company has seen an increased need for tornado shelters over the years and manufactures both residential and commercial shelters. The 8 person shelter capacity residential units look similar to garden sheds and are seamless except for the triple-locked door. It also features a small escape hatch should a tree or car become lodged up against it during a storm. The door swings in, making it easier to escape into when high winds approach. 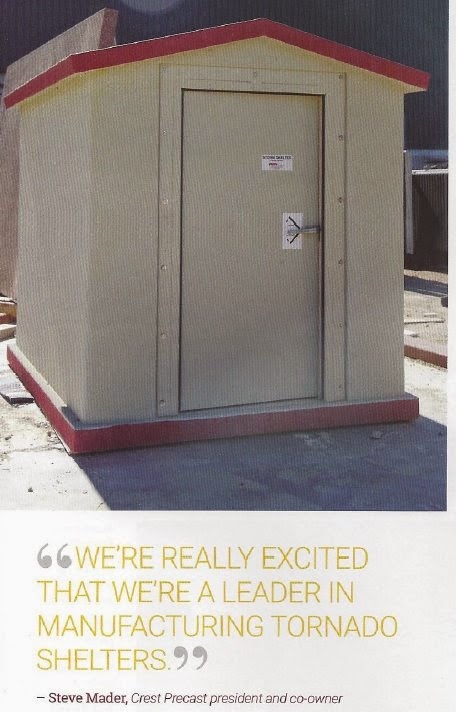 The demand for commercial storm shelters has also increased. 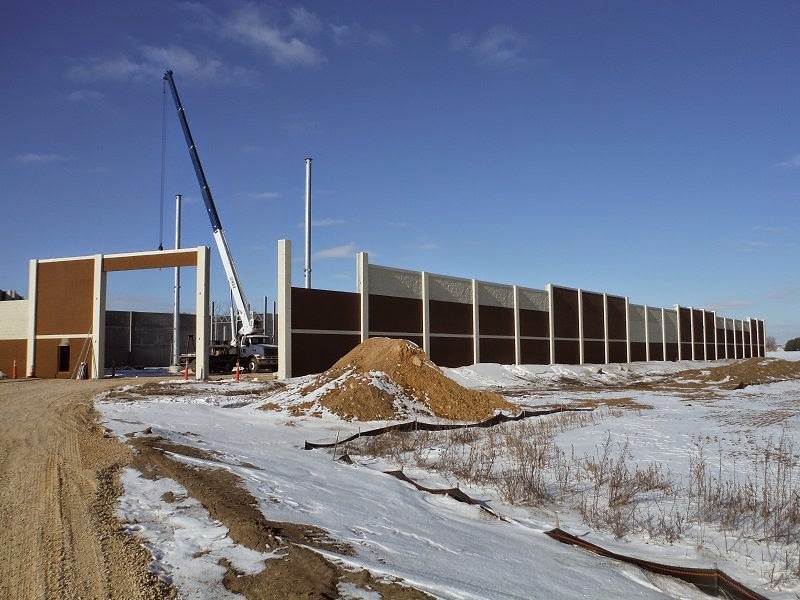 Crest Precast manufactures units large enough to house 250 people. 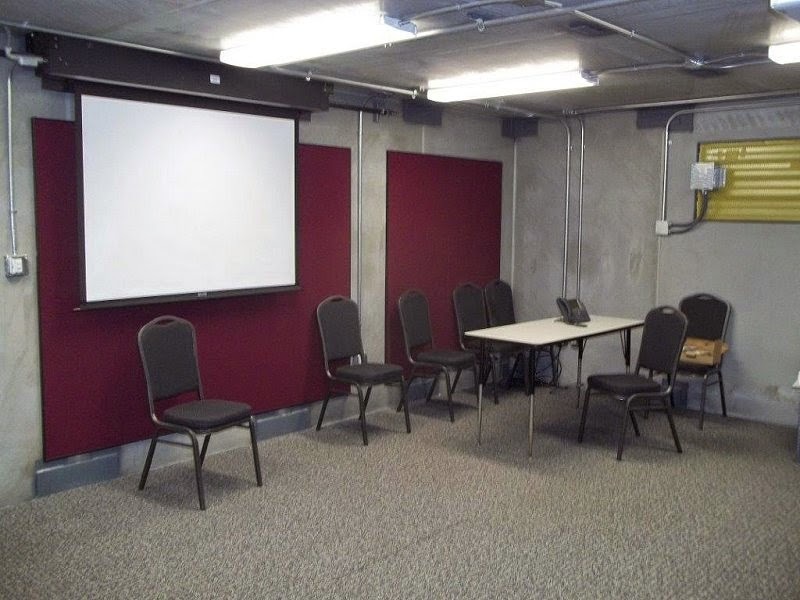 In 2014, the company built GSI Group LLC, a grain storage manufactured three 250-person storm shelters. In addition, BACF Corporation ordered its second and Caterpillar ordered its 26th. Large corporations are requesting storm shelters to protect employees while at work. "We're really excited that we're a leader in manufacturing tornado shelters," he said, "We really think by being first, we're going to get future business." Reprinted from Precast, Inc Jan/Feb 2015 Issue. 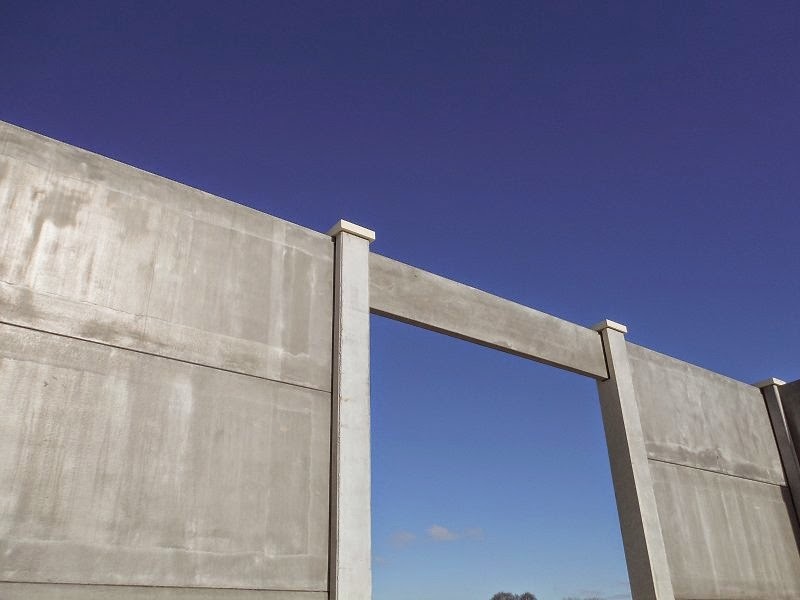 Electrical Substation Security Wall from Crest Precast Concrete. 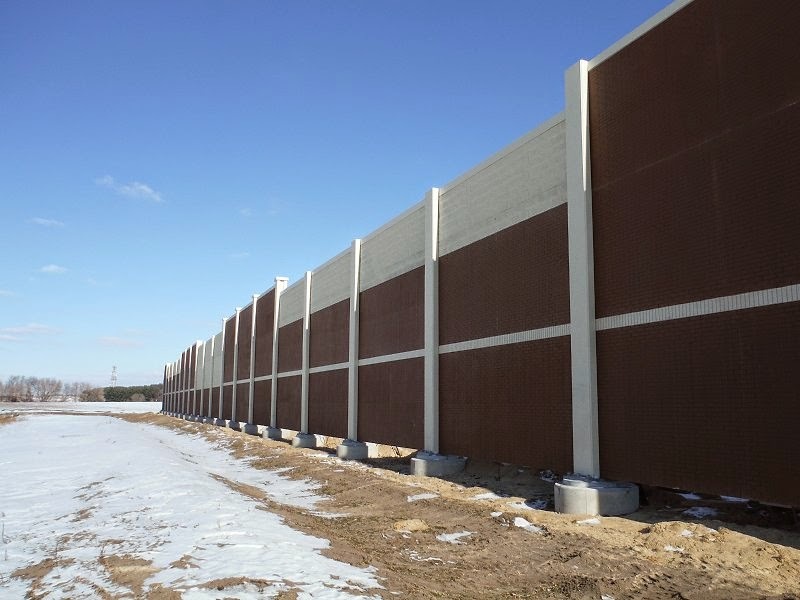 Electrical Substation Security Wall to secure & strengthen the nations electrical grid. 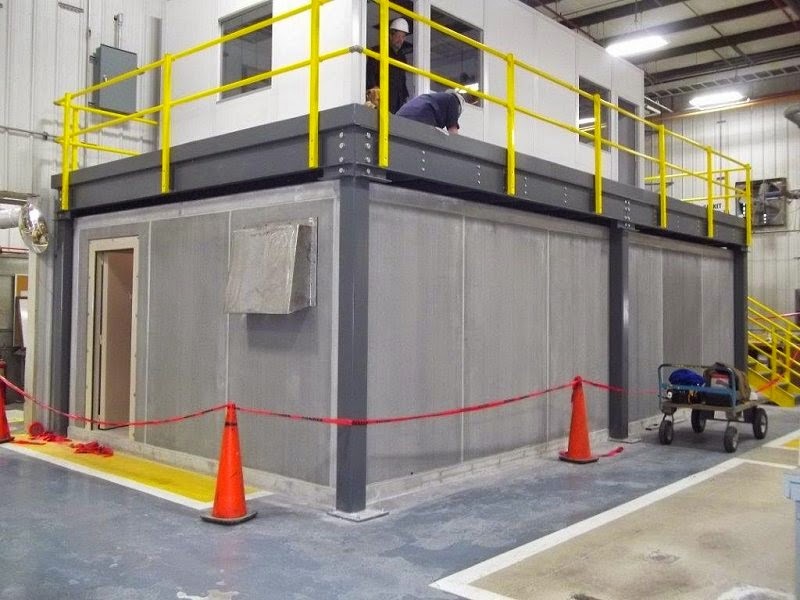 Crest Precast erected this 2nd shelter for the same customer inside an Alabama manufacturing plant. The shelter has a capacity of 90 people.